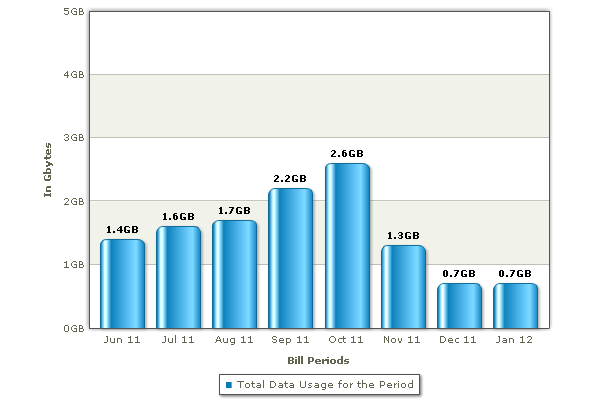 iPhone users ARE data hogs, apparently and I’m proof. Check out my data usage as an iPhone owner vs my usage as a Windows Phone owner (I bought my Windows Phone in mid-November 2011). The reasons for the drop-off are pretty obvious I think - I started using my iPad much more and there are very few worthwhile apps in the Windows Phone Marketplace, so I end up not using much data on my phone.